Comprehensive Medication Management (CMM) encompasses a number of activities and involves a whole-patient approach that begins with the needs of the individual, not the condition. CMM is a standard of care that ensures patient medications, whether those are prescription, nonprescription, traditional, alternative, vitamins, or otherwise, are individually assessed to determine if the medications are appropriate, effective and safe. It is important for patients to understand how their medications may interact and affect them. Patients need to be willing and able to take all of their medications in order to be healthy and safe. For comprehensive care efforts to be successful, patients must be informed and engaged in decisions concerning health care and medications. The use of coordination of medications is a critical part of health care delivery system reform. CMM, along with access to the right and affordable medications, helps optimize clinical and patient goals of rehabilitation in a safe and effective environment. These efforts vastly improve clinical outcomes and quality while reducing healthcare costs. CMM programs seek to optimize medications by identifying and resolving drug therapy problems that stand in the way of clinical goals. Essential elements for successful CMM include patient-centered consistent and systematic processes through which care plans are developed. Care plans should be individualized based on patient and health care provider goals. The care plan recommends interventions to help alleviate medication related problems that interfere with goals of therapy. Follow-up evaluations occur to determine the outcomes resulting from the recommended plans and improvements in clinical and patient goals. As the number of providers and medications increases for a patient, the coordination of medications becomes more critical. 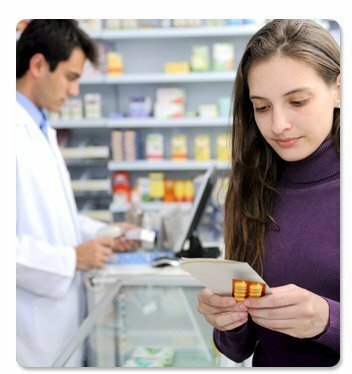 Clinically trained pharmacists (separate and distinct from the role of dispensing medications) or a patient’s primary care provider are the most appropriate healthcare providers to deliver CMM services. It is important for health care plans to stay up to date with patient needs. If the number of health care providers or medications increases for a patient, the coordination of all efforts and medications becomes more critical. Healthcare teams should optimize information and technology in order to coordinate efforts better including documentation of services provided, medication problems identified, therapeutic recommendations, and provider and patient communications consistent with meaningful use health information technology within a clinical practice. An example of the successes resulting from Comprehensive Medication Management were documented in a Minnesota study that resulted in higher achievement of therapy goals and lowered per patient health care costs by about $3,000. The resulting savings exceeded the cost of providing the medication therapy management services by more than 12 to 1.